This dessert came about by accident and a tasty accident it was. I had finished my cooking camps with kids and had some supplies left over. I was also going to a dinner with friends and had offered to make the dessert. I used what I had on hand and this is the result. It started out with a couple of open boxes of vanilla wafers. I also had a mostly full can of blueberry pie filling, some fresh blueberries and a one quart container of vanilla yogurt. I knew the flavors would work together, I just needed to decide how to put them together. I got a 13×9 – inch glass baking dish and put a layer of the vanilla wafers on the bottom of the pan. Then I covered the wafers with half of the yogurt. 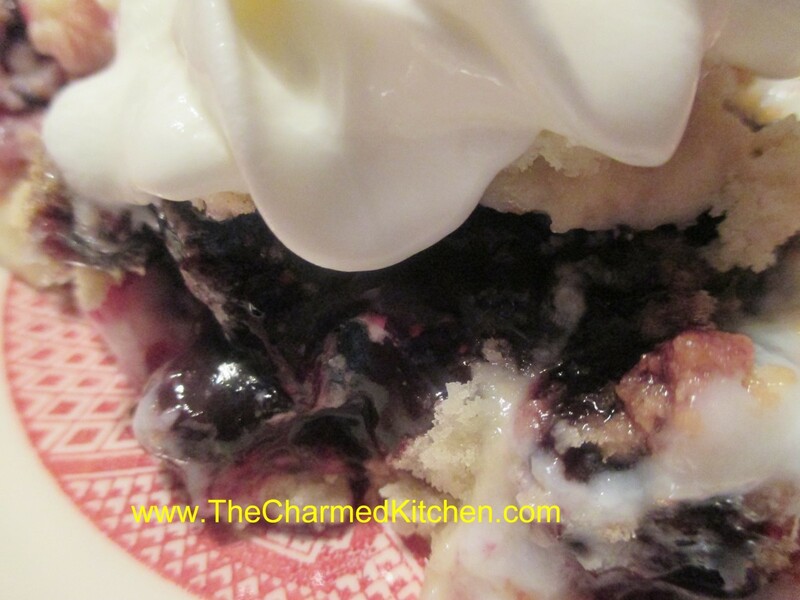 I added another layer of wafers and topped them with the blueberry pie filling and the fresh berries. Added one more layer of the vanilla wafers and ended the dessert with the rest of the yogurt. I covered the pan and put it in the fridge for several hours. When we served it the dessert was easy to cut and serve. We topped it with whipped cream. It was really fast and easy. I could see using other fruits and even other flavors of yogurt. Great for a day when you just don’t feel like turning on the oven.